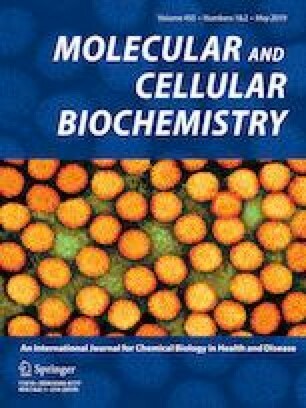 The aim of this study was to examine the potential association between the expression of Hsp70 protein and heart failure and to investigate the possible protective effect of Hsp70 against the doxorubicin-induced toxicity. Initially, at clinical level, the expression levels of the inducible Hsp70 were quantified in serum from patients with heart failure. Our results showed that in heart failure, Hsp70 concentration appeared to be increased in blood sera of patients compared to that of healthy individuals. The enhanced expression of Hsp70 in serum of patients with heart failure seemed to be associated with various features, such as gender, age and the type of heart failure, but not with its etiology. Next, in our study at cellular level, we used primary cell cultures isolated from embryos of Hsp70-transgenic mice (Tg/Tg) overexpressing human HSP70 and wild-type mice (F1/F1). After exposure to a wide range of doxorubicin concentrations and incubation times, the dose- and time-dependent toxicity of the drug, which appeared to be reduced in Tg/Tg cells, was demonstrated. In addition, doxorubicin administration appeared to result in a dose- and time-dependent decrease in the activity of two of the major endogenous antioxidant enzymes (SOD and GPx). The increased activity of these enzymes in Tg/Tg cells compared to the control F1/F1 cells was obvious, suggesting that the presence of Hsp70 confers enhanced tolerance against DOX-induced oxidative stress. Overall, it has been indicated that Hsp70 protein exerts a very important protective action and renders cells more resistant to the harmful effects of doxorubicin. All procedures performed in this study involving human participants were approved by the Ethics Committee of the “Michaelidion” Cardiac Center, University of Ioannina, Greece, and were in accordance with the Helsinki Declaration. All applicable international, national and institutional guidelines for the care and use of animals were followed. All procedures performed in this study involving laboratory animals were in accordance with the guidelines of the European Community for the Protection of Vertebrate Animals used for Experimental and other Scientific Purposes. All conducted experimental protocols were approved by the Veterinarian Services of the Prefecture of Ioannina in compliance with the Greek legislation for breeding and handling animals subject to the European Directives.